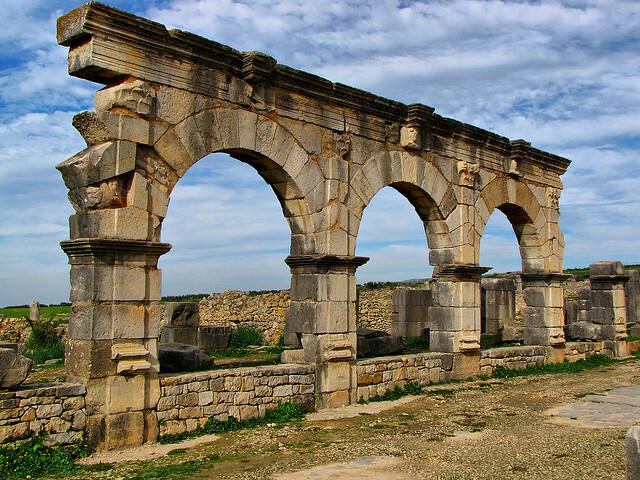 A short drive from Fes are the sprawling ancient Roman ruins of Volubilis. 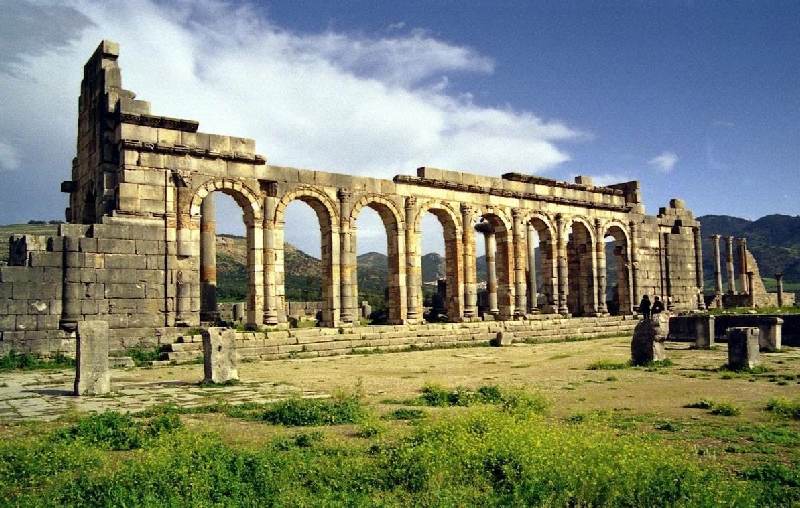 An UNESCO World Heritage site spread over 40 hectares; these are the most well preserved Roman ruins in Morocco. Romans began building of the city of Volubilis around 40AD, with the aim of maintaining control of this North African region. Development increased rapidly in the 2nd and 3rd centuries when the Romans embarked upon the cultivation of grain. The triumphal arch, built in 217 in honour of the Roman Emperor Caracalla and his mother, originally housed a bronze chariot atop its ancient stones, and was rebuilt in 1933. Wonderfully preserved mosaics in vivid colours, nearly all of which depict mythological scenes, can still be seen. Remains of palaces, baths, basilicas and spectacular mosaics transport you to a time 2000 years ago. A few miles from Volubilis is the holy city of Moulay Idriss. Meknes is a city in northern Morocco. It is served by the A2 expressway between those 2 cities and by the corresponding railway. 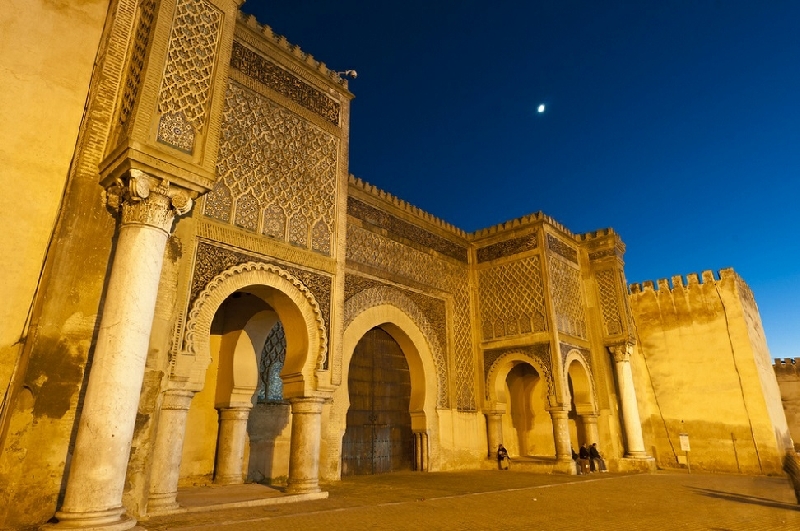 Meknes was the capital of Morocco under the reign of Moulay Ismail (1672–1727), before it was relocated to Marrakech. The population is 1,000,000 (2012 census). It is the capital of the Meknes-Tafilalet region. Meknes is named after a Berber tribe which was known as Miknasa (native Berber name: Imeknasen) in the medieval North African sources. 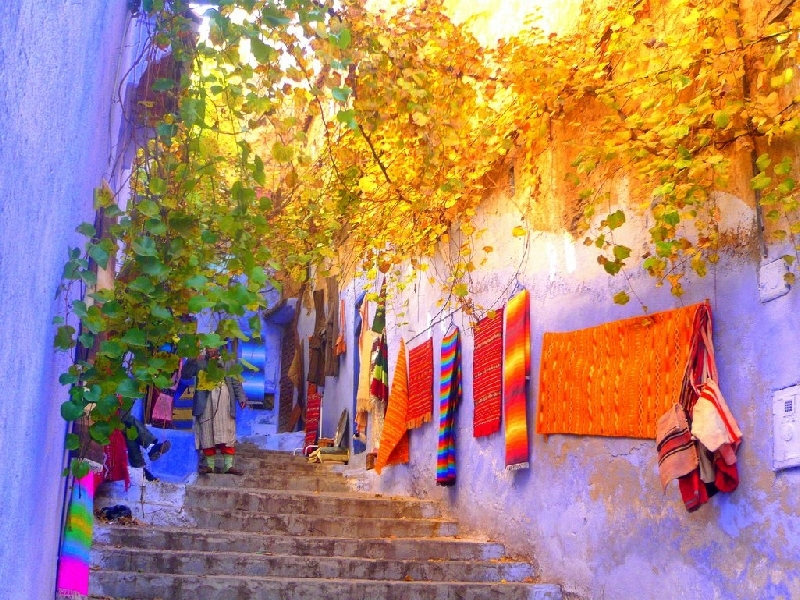 Chefchaouen or Chaouen, as it is often called by Moroccans, is a popular tourist destination because of its proximity to Tangier and the Spanish enclave of Ceuta. The name refers to the shape of the mountain tops above the town, that look like the 2 horns (chaoua) of a goat. "Chef Chaouen" derives from the Berber word for horns, Ichawen. There are approximately 2 hundred hotels catering to the summer influx of European tourists. One distinction possessed by Chefchaouen is its blue-rinsed houses and buildings. The growing tourist industry is geared especially towards Spanish tourists, who are especially numerous during great Catholic feasts like Semana Santa and Christmas. Chefchaouen was visited by Joe Orton and Kenneth Halliwell in 1967. They adored it finding it "very 'Golden Bough-ish' Orton mentions their trip in the Orton Diaries. There are a number of distinct mosques in the town. 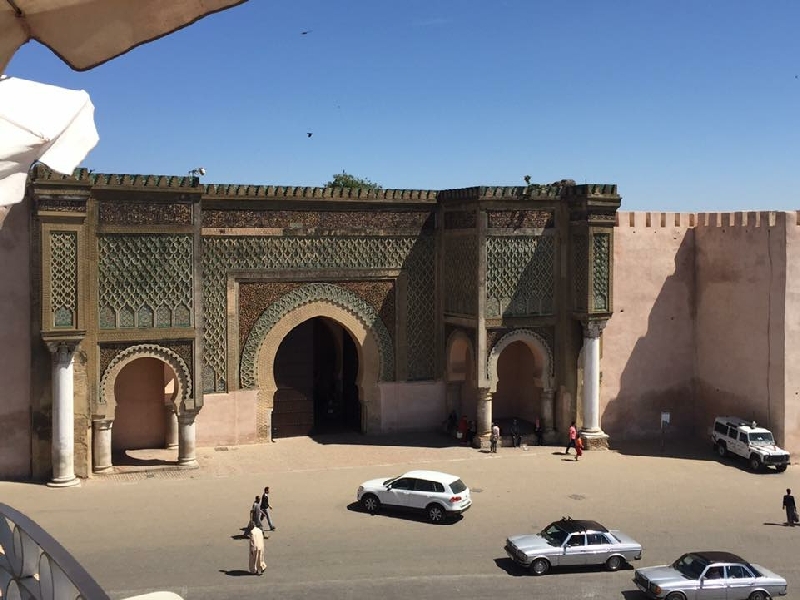 Aside from the mosque at Place Uta Hammam in the medina, there is also a mosque dedicated to the patron saint of Northern Morocco's Jebalah region, Moulay Abdeslam Ben Mchich Alami. His tomb and the village surrounding it is by the way an hour's drive or so from Chefchaouen on the old road to Larache. There is also a ruined mosque built by the Spanish, with stairs still in the tower.